The recent fire aboard ‘Yantian Express’, details of the final judgment on the ‘MSC Flaminia’ explosion in July 2012, and the ongoing investigation of the ‘Maersk Honan’ fire are currently making headline news. 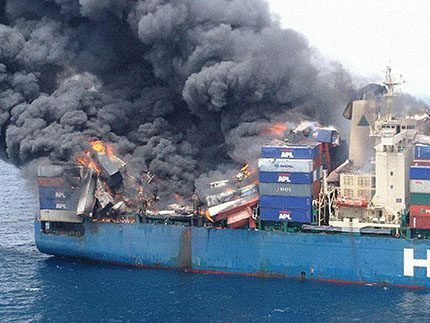 Then recently news came in of ‘Grande America’ sustaining a container fire in the Bay of Biscay and subsequently sinking. These perilous incidents not only frequently cost lives, millions of dollars in cargo losses and ship damage, but also significant delays in cargo supply chains amounting to major disruption across numerous industries in these ‘just-in-time’ days.